And so, because of the damage done to homes and the potential risk to public safety, the final recommendations report for Grow Op Free Alberta lists a host of solutions to existing problems, including requiring real estate agents to disclose a home was used to grow pot, guidelines for proper and safe remediation and bumping up tools to identify grow ops. The one solution missing? Legalization and regulation. I get it – all the province can really do in its power is mitigate the damage, try to hold people accountable when properties are made unfit for habitation, and ensure that remediation is done properly. But, as public attitude shifts towards acceptance of marijuana, and a desire that governments leave adults alone to smoke what they please, the province could also take the lead in pushing the feds to make changes to criminal law in Canada. So long as the status quo exists, residential grows will remain a big problem, with thousands estimated to be operating in Alberta. The recommendations in the report give significant focus toward education, but I think despite the emphasis placed on informing the public, I don’t think we’ll start to see an increase in police reports. Even if more people start reporting grow ops, that won’t necessarily mean there will be a reduction in people looking to grow marijuana. So long as the trend toward supporting decriminalization and legalization continues, the public will believe that the key is a change in federal drug laws, not provincial public safety endeavours, no matter how wise they may be. When looking at people opting not to report grow ops, the reasons behind their complacency are key. 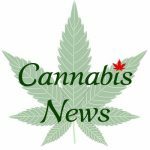 And, with as many as two thirds of Canadians in support of decriminalization or legalization, we shouldn’t be surprised people aren’t reporting grows, and perhaps it should be taken as further sign we’re ready for greater debate on the issue. As we’re approaching a federal election in 2015, here’s hoping we get one.